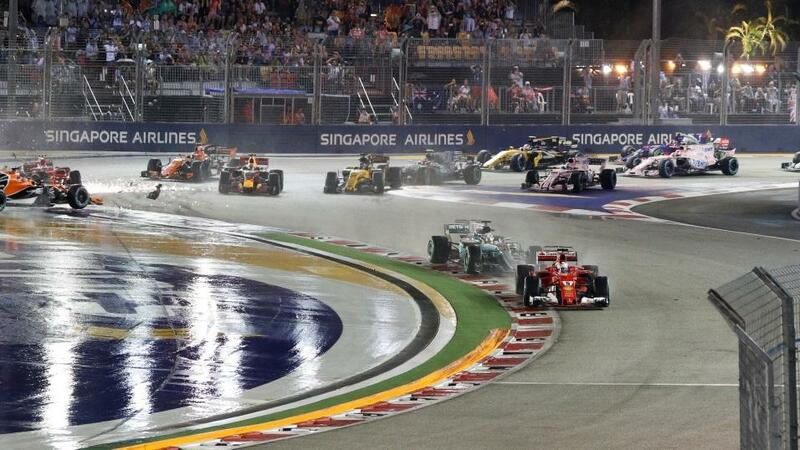 "With one third of the F1 season to go, this weekend's Singapore Grand Prix could be crucial. Lewis Hamilton is the favourite for the Championship but bettors fancy Sebastian Vettel to triumph in Singapore." Established in 1776, the St Leger is the oldest horseracing classic in the world and the final one of the Flat season. This year, it takes place at 15:35, slap bang in the middle of a sumptuous racing card at the Yorkshire racecourse. Kew Gardens, ridden by Betfair Ambassador Ryan Moore, is the favourite, so make sure you read Ryan's views on this and the rest of his rides when his column goes live at 5pm on Friday afternoon. If you fancy backing an outsider, read Timeform's runner by runner guide to field. The T20 season reaches what should be a dramatic climax at Egbaston on Saturday. First up, it's Worcestershire v Lancashire, then Sussex v Somerset on the day's semi-finals. The winners of those matches face each other in the late afternoon/early evening final. As Ed Hawkins explains in his preview of Finals Day, this is a fantastic opportunity to see a clutch of international stars in action across one day. It should be a day and evening of thrills and spills galore for fans of this thrilling and increasingly popular format which means only one thing: lots of betting opportunities. If you felt like there was a hole in schedule last weekend then fear not - the Premier League is back. And what a mouthwatering start to the weekend, with Tottenham hosting Liverpool at 12:30. Two of the top flight's most attractive sides go head to head, Jurgen Klopp's men hoping to maintain their 100% record and Tottenham trying to put defeat last time out behind them. After that, there's the 15:00 kick-offs, including Manchester City hosting Fulham, before Manchester United go to Watford at 17:30. On Sunday, there are two more fixtures and one on Monday night. After a hugely controversial draw last time out, Saul 'Canelo' Alvarez and Gennady 'GGG' Golovkin go toe-to-toe again in the early hours of Sunday morning, a year to the day from the first fight. Golovkin is the odds-on favourite but both our boxing tipster Frankie Monkhouse and Betfair Ambassador David Haye believe that the Mexican Canelo can spring a surprise. Fancy another draw? It's currently [23.0] on the Exchange. With one third of the F1 season to go, this weekend's Singapore Grand Prix could be pivotal in determining the outcome of the Driver's Championship. Lewis Hamilton is the favourite for the Championship but bettors fancy Sebastian Vettel to triumph in Singapore on Sunday. Hamilton leads in the championship by 30 points so Vettel needs to eat into his lead sooner rather than later. A nighttime race on the streets of an Asian metropolis is an exciting prospect, so don't miss it. The European Tour is the focus for Betting.Betfair's golf experts this weekend. Steve "The Punter" Rawlings will be providing his in-play blog on the KLM Open, in the Netherlands, and there should be plenty of market movement and surprises before this one reaches its climax on Sunday afternoon. If you'd like to bolster your betting position with information on the course and the tournament's history then check out this KLM Open fact file.